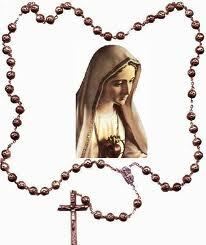 Today is the Feast of Our Lady of the Rosary! It's a good day for all of us to deepen our devotion to Our Lady and thank her for her loving protection in our lives. 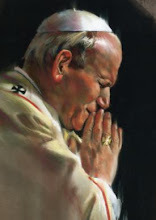 Our nation is in great need of her intercession and today is a great day to pray for its renewal. The following is a reflection from Father George W. Rutler: Today we remember another October 7, in 1571, when the Battle of Lepanto was fought off the western coast of Greece, the largest naval operation before the Normandy invasion. The Holy League, put together by Pope St. Pius V, had 212 fighting ships with 12,920 sailors and 28,000 soldiers, while the Muslim forces of the Ottoman fleet had 278 war vessels, 13,000 sailors and 34,000 troops. Our world, and our little corner of it in New York, would be unrecognizable today had the outcome of that five-hour battle been reversed. St. Pius made that day a Feast of the Holy Rosary in thanksgiving for Our Lady's intercessions, and added to her titles "Our Lady of Victories."